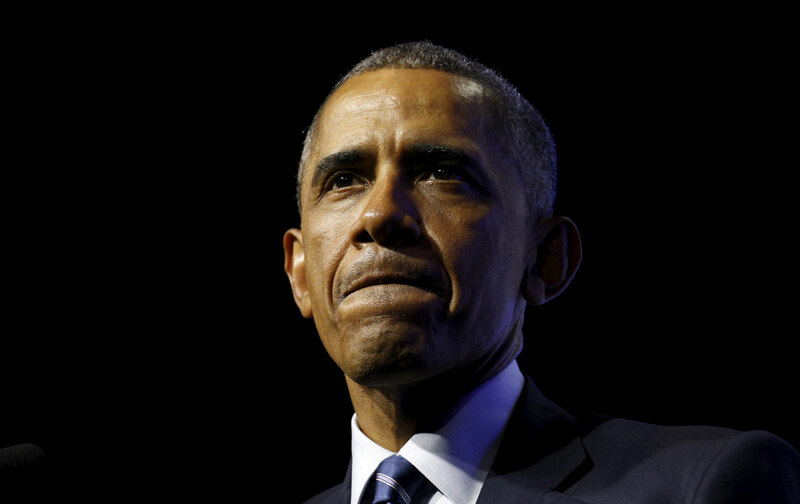 In many areas, it hardly matters what Barack Obama now does. In his last moments, for example, were he to make good on his first Oval Office promise and shut down the prison at Guantánamo Bay, Cuba, Trump could reverse that decision with the stroke of a pen on January 20, 2017. Unfortunately, the answer is: far less than we might like; but as it happens, there are still some powers a president has that are irreversible by their very nature. For example, declassifying secret documents. Once such documents have been released, no power on earth can take them back. The president also has a virtually unlimited power of pardon. And finally, the president can punish high-level executive-branch or military officials who abused the system, just as President Obama recalled General Stanley McChrystal from his post in Afghanistan in 2010, and he can do so until January 19. Of course, Trump could rehire such individuals, but fast action by Obama could at least put them on trial in the media, if nowhere else. Faisal bin Ali Jaber, a Yemeni engineer, has been asking for just such a response. His brother-in-law Salem and nephew Waleed were killed by a US drone strike in 2012. Yemeni officials gave Jaber $100,000 in cash that they swore was compensation from the US government, but if so, Washington has not acknowledged what it did. Reprieve, a British-based group that supports drone victims, has sued President Obama to get a public apology for Jaber. There is precedent for such publication. The Pentagon released transcripts and data from an airstrike that resulted in the killing of 23 Afghan villagers on February 21, 2010, in Uruzgan Province after a drone crew mistook them for Taliban militants. Documents relating to US air strikes against a Médecins Sans Frontières hospital in the Afghan city of Kunduz on October 3, 2015, have also been released. How many similar military investigations (known as AR 15-6 reviews) have been conducted into accidental killings in the “war on terror”? According to Airwars, another British-based organization, we know, for instance, that the United States is looking into a strike that killed at least 56 civilians in Manbij, Syria, this past July. There are guaranteed to be many more such investigations that have never seen the light of day. 3. Make public the administration’s criteria for its “targeted killings.” In July and August, under pressure from the American Civil Liberties Union (ACLU), the Obama administration released a series of documents revealing the procedures it uses to identify and target for assassination individuals responsible for terrorist activities in much of the world—and the way it has justified such killings internally. If anything, however, those documents (known as the presidential policy guidance, or PPG) have merely suggested how much of the process still remains beyond public view. “Frustratingly, too much remains secret about the program, including where the PPG actually applies, what its general standards mean in practice, and how evidence that those standards have been met is evaluated—in addition to who the government is killing, and where,” writes Brett Max Kaufman, an ACLU staff attorney. These days smart criminals and terrorists use encryption or other means like burner phones to make sure that they can’t be followed. The only senior operatives being hacked these days seem to be Democratic Party officials like John Podesta and millions of ordinary citizens whose data is stolen by criminals. So why not reveal just what programs the government used in these years, what was done with them, why it failed, and what lessons were (or weren’t) learned? Evidence of the national security state’s massive waste of time and resources might indeed be useful for us to have as we think about how to improve our less than 100% privacy and security. Such disclosures would not imperil the government’s ability to seek warrants to lawfully intercept information from those suspected of criminal wrongdoing or terrorism. 5. Make public all surveillance agreements with private companies. To this day, the US government has secret agreements with a variety of data companies to trawl for information. Some companies are deeply uneasy about this invasion of their customers’ privacy, if only because it probably violates the terms of service they have agreed to and could cause them to lose business (given that they face competition from non-US companies and more secure alternatives). Take Yahoo, for example. The Justice Department obtained a court order in 2015 to search all users’ incoming e-mails for a unique computer code supposedly tied to the communications of a state-sponsored “terrorist” organization. The company has requested that the government declassify the order to clear its name. It has yet to do so. Surely such an argument ought to convince a former law professor? President Obama could easily strike a major blow for fair trials by revealing the extent and the details of these local police contracts, which are essentially an open secret, as well as any other agreements the national-security state has with private companies to spy on ordinary citizens. Once again, this would not hamper the government’s ability to seek warrants when it can convince a judge that it needs to intercept individual communications. 6. Make public all secret law created in recent years. The last thing we’d want would be for Donald Trump and his future White House adviser, white-nationalist Steve Bannon, to enter the Oval Office and start making secret law by wielding executive powers to, say, round up Muslims or deny women their rights. Stopping Trump from taking this route and creating his own body of secret law is going to be hard indeed, given that Obama has probably signed more secret orders than any previous president. As Elizabeth Goitein, the co-director of the Brennan Center’s Liberty and National Security Program, noted in a recent report, the Obama administration has failed to release a minimum of 74 of the Justice Department’s Office of Legal Counsel opinions and memos that have been the secret basis for government actions on national-security issues—including detention, interrogation, intelligence activities, intelligence-sharing, and responses to terrorism. In addition, as many as 30 rulings of the Foreign Intelligence Surveillance Court between 2003 and 2013 have not been made public. And an astonishing 807 international agreements, including bilateral ones to control the transportation of narcotics, signed by the United States between 2004 and 2014 have never seen the light of day. 7. Punish anyone who abused the drone or surveillance programs. We don’t really know who ordered the drone strikes that knocked off so many innocent people. But the names of the architects of the program are known and, more importantly, the president undoubtedly has all the names he needs. 8. Punish those responsible for FBI domain management abuses. Since the attacks of September 11, 2001, the FBI has developed a network of more than 15,000 informants as part of its Domain Management program. Many of them were recruited to infiltrate Muslim communities to identify terrorists. For the last 15 years, this vast sting program has been used to round-up Muslims—those dumb enough to fall for FBI enticements at least—and put them in prison. Whistleblowers have come forward to expose the abusive tactics employed by the FBI in such cases. Take Craig Monteilh, an ex-convict hired by the Bureau to infiltrate mosques in Southern California. After he had a change of heart, Monteilh helped local Muslims sue the agency. The case was, in the end, reluctantly dismissed by District Judge Cormac Carney, who wrote that “the state secrets privilege may unfortunately mean the sacrifice of individual liberties for the sake of national security.” Other informants, like Saeed Torres, have since come forward to expose other aspects of the program. The government has never acknowledged any of this. 9. Pardon Edward Snowden, Chelsea Manning, and the other whistle-blowers. Last but not least, why not pardon Edward Snowden, Chelsea Manning, and the other whistle-blowers who served the public good by letting us know what the president wouldn’t? As of now, Barack Obama will go down in history as the president who prosecuted more truth-tellers, often under the draconian World War I–era Espionage Act, than all other presidents combined. Stephen Kim, Jeffrey Sterling, John Kiriakou, and Thomas Drake were government officials who talked with journalists. They were subsequently jailed or had their lives turned upside down. Others like Chelsea Manning and Barrett Brown have been jailed for hacking or for the release of documents relating to surveillance, US wars abroad, and other national security matters. Will Obama act on any of these nine recommendations? Or will he simply hand over the vast, increasingly secretive national-security state that he helped build to a man whom he once declared to be “unfit” not just for the presidency but even for a job at a retail store? “The guy says stuff nobody would find tolerable if they were applying for a job at 7-Eleven,” Obama told an election rally in October.